The Skins tried out several lumpy castoffs after Alex Smith’s injury—including EJ Manuel, Kellen Clemens, Josh Johnson, and TJ Yates—before settling on Mark Sanchez, who didn’t play a down of football last season. Now, with fill-in starter Colt McCoy also out, and Sanchez suddenly the starter, the team hobbled back to that same grim trough for a second helping and dredged up Josh Johnson, which is not so different from waving a white flag. Yeesh. None of the options is especially promising, but Johnson hasn’t appeared in an NFL game since 2013, and has never won an NFL game in five tries as a starter, four of which came way back in 2009, Johnson’s rookie season. Children who were born in the year of Johnson’s last NFL regular season pass attempt (2011) are driving their second-grade teachers to the bottle with endless and obnoxious Fortnite celebration dances. Johnson’s most recent football gig involves being drafted by the San Diego Fleet, of something called the Alliance of American Football. We need a quarterback who is more like Mark Sanchez is a very funny excuse for not hiring a quarterback who has always, always, always been better than Mark Sanchez, especially when the alternative is a guy who has had more rushing attempts than passing attempts over the last half-decade. The NFC East may not technically be out of reach, but the Cowboys have won four straight and have zero games left against teams with winning records, and are now the clear favorites. Realistically, none of the available quarterbacks were likely to salvage this spiraling disaster of a season, and certainly not while backing up Sanchez. 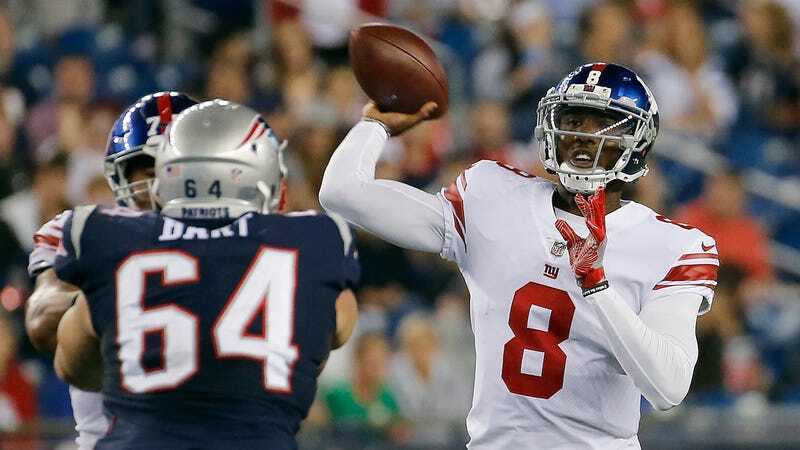 Maybe the best Washington can now hope for at quarterback is that they will have no reason to hire any new ones for the time being, even if the best one available is still out there. Josh Norman On Washington&apos;s Home Fans: "They&apos;re Not Really Behind Us"